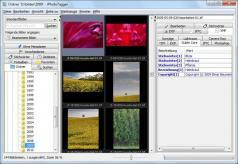 JPhotoTagger is a Java-based photo management software designed to help you easily sort and find images that can be used by both advanced users and those with little technical experience. To start, you will need to navigate to an image folder and JPhotoTagger will allow you to group photos into albums, filter them by keywords or technical details, and group images into albums. Besides major image formats, the application can also display RAW images which contain all the technical details such as focal length, ISO value, lens, camera model and so on. Filtering images can be performed using various criteria such as copyright, location, rating, photographer name, and country and you can also add these details manually to each photo. Since JPhotoTagger was designed to be a flexible application, it's also possible to import IPTC and XMP metadata.